Wilde Toyota Lease Maturity Center is here to help you make the best decision about what to do when you are ready for your new car. 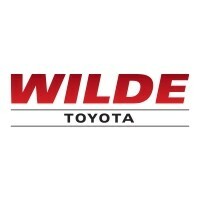 Many Wilde Toyota customers are able to trade in their lease vehicle prior to the lease term ending! This is achieved by the market demand for quality pre-owned Toyota vehicles at Wilde Toyota. If you decide to trade your current lease vehicle in early you may be able to upgrade to a new Toyota from Wilde Toyota at the same or lower monthly payment. We are currently looking for leased Camrys, Corollas, RAV4s, Tacomas and Highlanders and are paying top dollar for these vehicles. Fast. Simple. Convenient. Schedule an appointment to bring your current car in for an equity analysis so that the Wilde Toyota Lease Renewal Center can give you the most cost efficient upgrade options for your new Toyota. Did you know? Wilde Toyota Lease Renewal Center Specialists may be able to get a new vehicle for you for even less of a monthly payment and turn in your car anywhere between 0-12 months early. If you decide to buy your Toyota, there is no need to worry about a vehicle inspection or excessive wear or mileage charges. Wilde Toyota’s award-winning finance team will help you find the best financing options possible. Your lease concludes when you turn in the vehicle to Wilde Toyota. Toyota leasing includes an Excess Wear and Use Waiver, but you will be responsible for any wear or use that exceeds the waiver. Plus, you will be responsible for any outstanding payments, excessive mileage, and any other outstanding obligations specified in your lease agreement. Please schedule an appointment to return your vehicle to Wilde Toyota.